Soil analytics company Teralytic has completed the Ag Data Transparent certification, affirming that their data use is private, secure, and transparent. 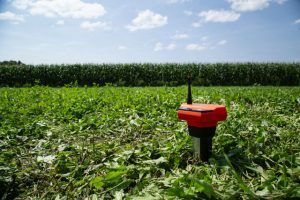 Teralytic, which recently released the world’s first wireless NPK sensor in their comprehensive soil probes, joins companies like John Deere, Farmers’ Business Network, GROWMARK, Granular and more in bringing data transparency and consumer trust to the forefront. Ag Data Transparent certification allows companies that engage in and collect on-farm data to align to industry-wide principles to build trust with precision ag technology users. These core principles include: transparency in data collection, access, use, portability, availability, and retention. The non-profit Ag Data Transparency Evaluator, Inc.-formed by the American Farm Bureau Federation and other interested organizations and companies-audits each company’s ag data contracts to ensure it is transparent, upfront, and simple.